Is it me or did January drag on for what seemed like forever and a day? The good news is that it’s February which means black history will, once again, get a little shine! During Black History Month, we celebrate all things melanin including the innumerous achievements and contributions black people have and continue to make day to day. From education to sports, entertainment to politics, we have left insightful marks on the history of the world. Everything from our culture has been imitated which is said to be the greatest compliment. We are seriously so dope!!! As I have mentioned before, it’s a challenge to sum up all the magic the oozes from the sheer existence of black people. Our creativity and inspiration rank supreme! 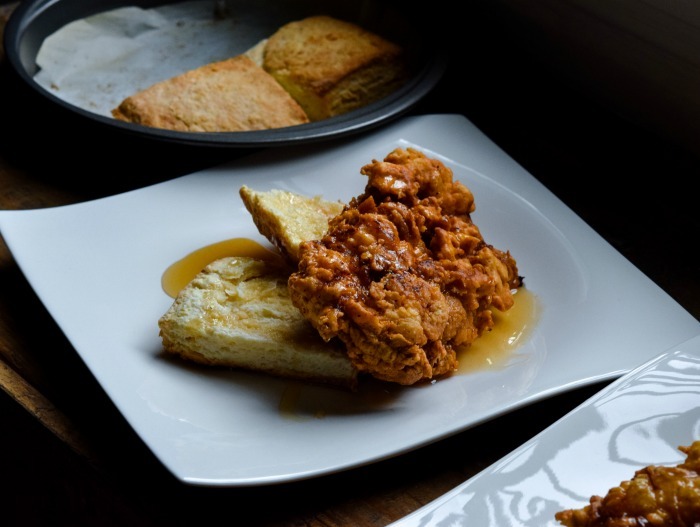 If you can’t already tell, I am super excited for this post today because not only am I sharing one of my favorite family recipes with you but I’ll also be sharing the Black History Month Virtual Potluck as well! Every day this February, in honor of Black History month, you’ll be able to enjoy delicious dishes prepared by myself and 27 other creative black food bloggers from around the globe. 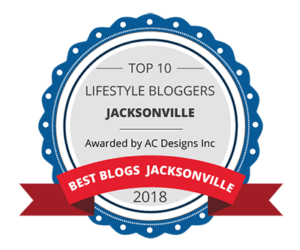 There’s sure to be something for everyone as dishes will vary from African to Creole, Caribbean to Southern, in categories ranging from meat, seafood, vegetarian, vegan, beverage, and dessert. Make sure you read all the way to the end to see the list of talented participants and all of their tasty recipes! When ever I’m asked to contribute food for a potluck, cooking something that reminds me of home is usually my go to, so my contribution for the BHM Virtual Potluck is Crawfish Etouffee! 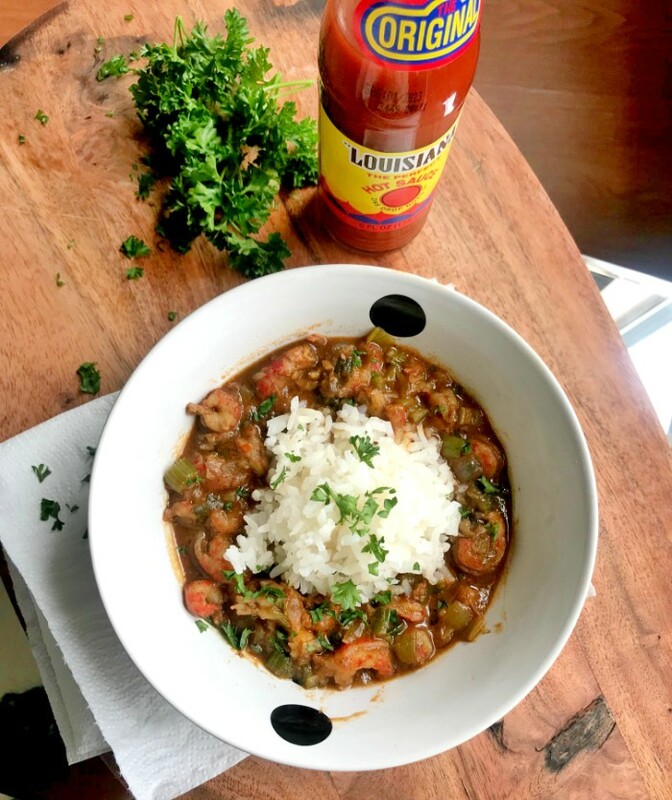 My mother is from Louisiana so I ate a lot of Cajun/Creole inspired cuisine growing up and Crawfish Etouffee was and still is one of my favorites. 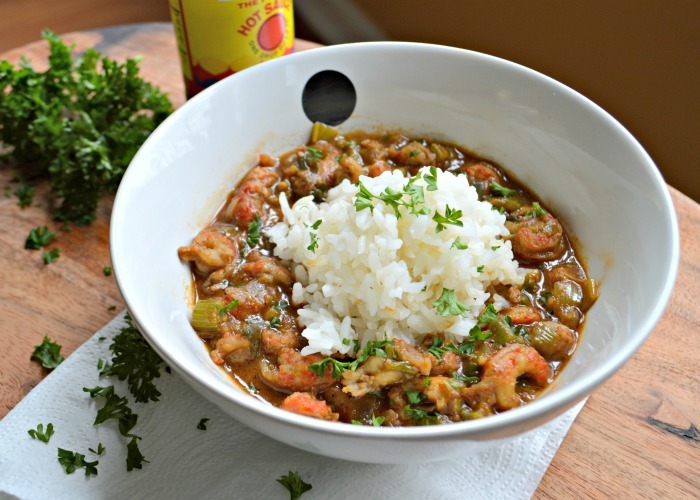 If you’re unfamiliar with Etouffee (eh-too-fay), it originates from a French word that means to smother. This dish is made with a traditional roux, which adds that unique and distinctive flavor found in most New Orleans inspired dishes. 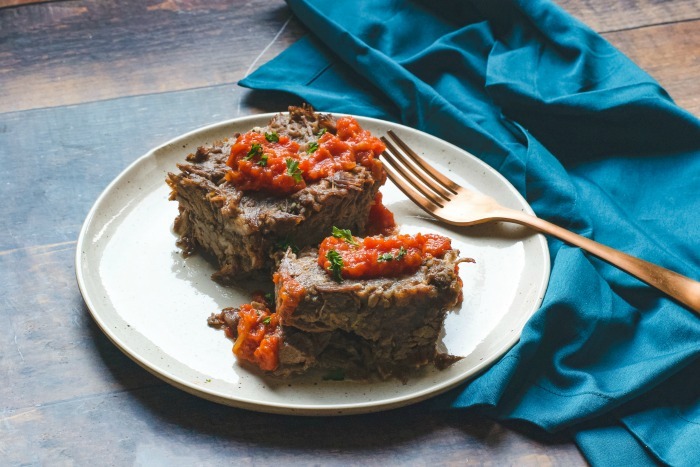 It is thick, hearty, and jam-packed full of flavor! I load this dish up with crawfish but have made it with shrimp as well, which is an option. With a little prep of veggies ahead of time, this meal can be on the table for your family in 30 minutes! 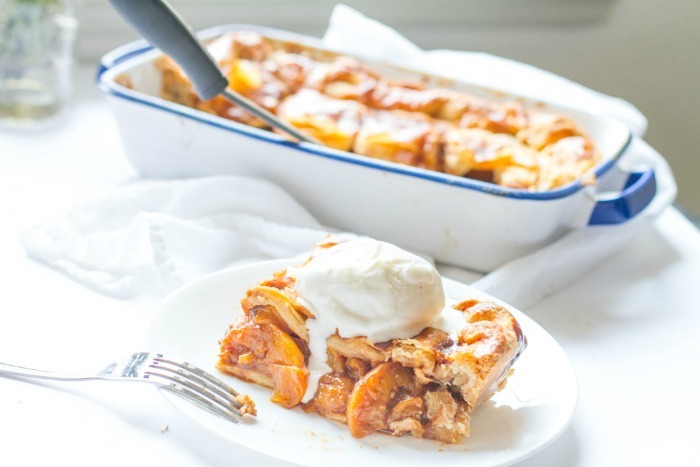 It’s the perfect recipe for a potluck and I’m excited to share this one with you and all of my virtual potluck buddies! 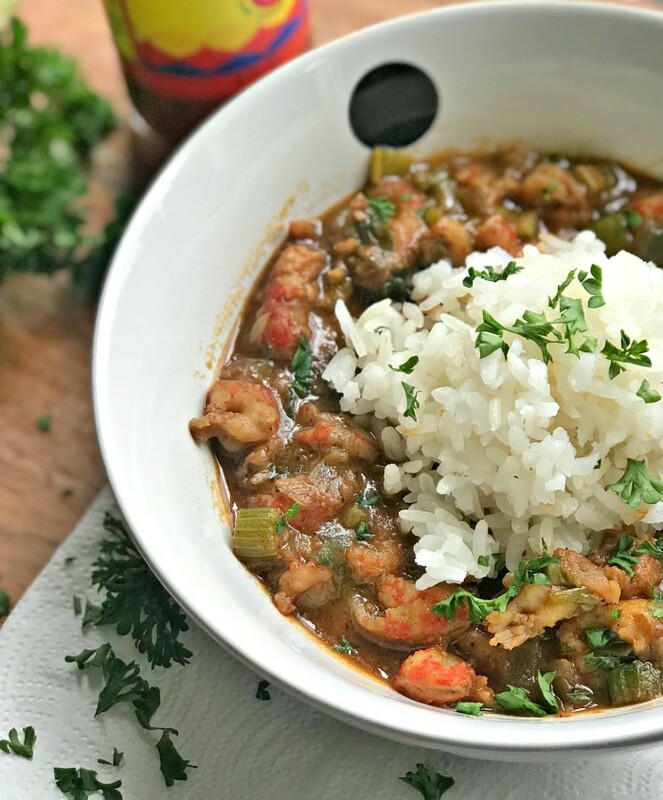 Below you’ll find my recipe for this delicious etouffee along with all of the amazing food bloggers who have also contributed to the Black History Month Virtual Potluck. Please make sure to check them out. Before I go, major shout out to Aaron of The Hungry Hutch and Meiko of Meiko and The Dish for putting this idea together. It is genius! Crawfish Etouffee is a quintessential Cajun and Creole dish. It’s a thick and hearty dish full of plump crawfish and jam packed with flavor. 1.) Melt butter or heat vegetable oil in a cast iron skillet or heavy bottom pot. 2.) Slowly whisk in flour over a medium to low heat continuously until the roux is a chocolate brown. This will take 10-12 minutes. 3.) Mix in vegetables (onion, garlic, celery, and green onions) and cook until tender. This will take 3 minutes. Reserve some green onions for garnish. 4.) Add crawfish tails and season with Cajun seasoning and garlic powder. 5.) Add stock and combine all of the ingredients. Let the mixture simmer 20-25 minutes. Mixture will thicken slightly. Add hot sauce to taste. 6.) Add mixture to a plate and add a scoop of cooked white rice. 7.) 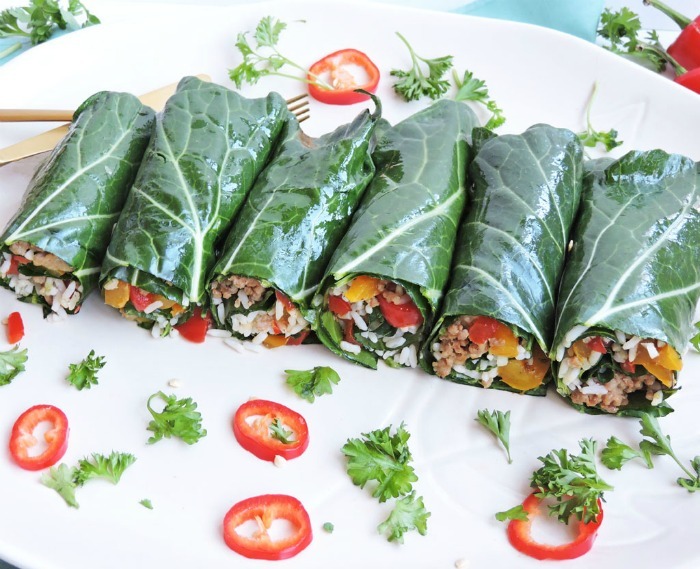 Garnish with parsley and green onions and enjoy! You can use the additional mixture to make crawfish pistolettes or crawfish pie. This mixture would also be great over a baked piece of fish or a baked potato. 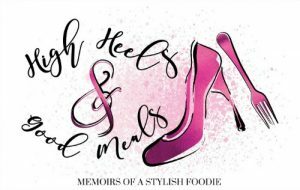 (C) High Heels & Good Meals ~ These are copyright protected images and content. Do not reuse or reprint any of my images with out my written permission. As always thank you so much for stopping by! Have an amazing ending of the week!